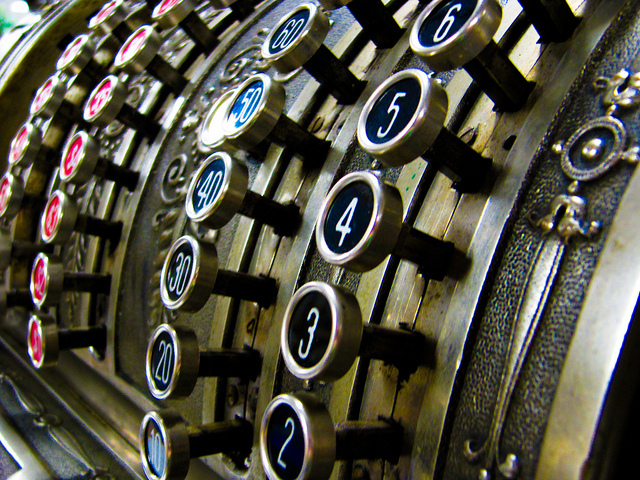 As business owners, upselling is crucial. You already have a customer that's ready to buy something—why not convince them to buy something else too? As customers, however, it is the worst... unless you don't know it's happening, which brings us to this week's post. Upselling doesn't have to be smarmy, sleazy or the worst. It can be helpful, friendly and and successful when it's done right. In his book To Sell Is Human, Daniel H. Pink notes,“Anytime you're tempted to upsell someone else, stop what you're doing and upserve instead.” We've rounded up five important upselling tips (or rather, upserving tips) to avoid alienating your customers. Get a dialogue going. Say hello, but give your customers breathing room to explore your shop before you engage them. Ask them questions without being overbearing. If they are buying a new pair of sunglasses, ask them if they have any upcoming vacations planned or if they have as much trouble losing sunglasses as you do. Get to know them naturally and it'll help you make smart suggestions for other products they may need. Make genuine suggestions. That sunglasses customer might need a new case to go with her shades—or maybe a hat to take on vacation with her! Or perhaps you just got a new line of higher-end sunglasses that you're legitimately excited and want to suggest. Be sure not to just recite your regular sales pitches. As a customer, there's nothing worse than listening a retail employee spouting the same disingenuous line over and over. Vocalize your discounts and sales. Some customers might not have seen your awesome 20% off signs, so let them know about discounts if you think they might bite. No need to be pushy, just helpful. Ask if they are shopping for anything else before you ring them up. Don't wait until they get to the register to ask if they need anything else, when their purchasing decisions have already been made. Make your suggestions before they are finished wandering the sales floor. Walk them to the register. If you have a large store especially, you can walk them through a particular aisle that might tempt them. Be patient as they investigate merchandise near your register. Sometimes, it does pay to move through your checkout process a little slower to give people a chance to look at the merchandise you've stocked near the register. Leave them with a smile. No matter what they bought (or didn't), customers are more likely to share a positive experience with their friends and online if they connected with you as a person. How do you upsell without upsetting your customers? Let us know in the comments! Now that the holidays are over, 'tis the season to keep up your sales numbers and move inventory in creative ways. 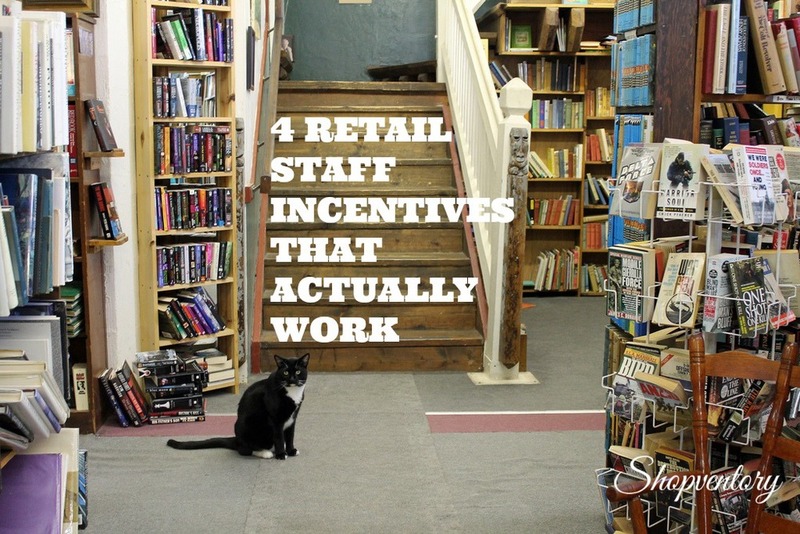 Motivate your people with these four retail staff incentives they'll actually care about. 1. Discounts. Giving your staff a merchandise discount is a classic way to show appreciation and it's typically easy for business owners to implement. If you already have a staff discount program in place, try setting an extra special discount day for them if they reach a particular goal together or extend a one-day friends and family discount. 2. Friendly competition. And then there's the opposite of teamwork, which can work just as well too. Whether it's a day-long blitz or a monthly contest, make the competition fun and give it personality. A major grand prize never hurts, but don't let the reward be the focus. Bob Marsh, the CEO of LevelEleven, notes, "While it can help incentivize employees to participate by offering a high-end product (e.g., a nice watch) or experience (e.g., a trip to Hawaii), we’ve seen employees become just as invested in sales competitions with prizes as basic as a Starbucks gift card. That’s because competition itself is a strong motivator." 3. Free food. In the spirit of National Pie Day (which really is today), cut your staff a piece of the pie... literally. Doesn't matter if it's blueberry or pizza pie, but sponsoring a bite together at the end of a long sales push can be a simple, sweet (or cheesy) reward. As any sixth grade teacher knows, pizza parties get things done. 4. Personal time. Don't underestimate the power of a day off. Not only will your employees love you for rewarding them with something they can actually use (rather than another water bottle with your shop's logo on it), but studies show that they'll come back more productive and refreshed. The Atlantic reports: "The impact that taking a vacation has on one's mental health is profound," Francine Lederer, a clinical psychologist in Los Angeles told ABC News. "Most people have better life perspective and are more motivated to achieve their goals after a vacation, even if it is a 24-hour time-out."